We are so excited to announce a new group at OuTcomes Therapy. Join Shona Switzer (Registered Nurse) and Louise Burridge (Occupational Therapist) for Adulting 101. 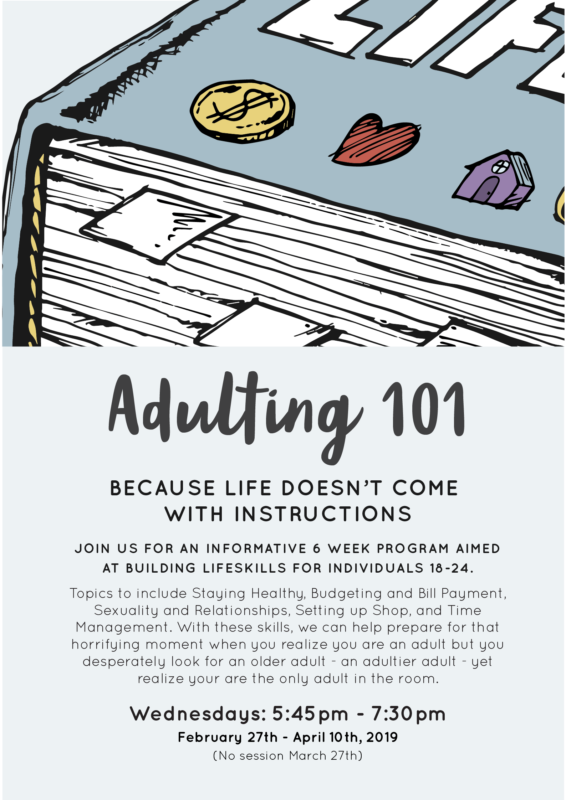 This program endeavors to explore and demystify the obscure reality of being an “adult.” We want to give young adults, the skills, knowledge, and confidence to stay healthy and well, understand how to pay bills and budget, the process of accessing a place to live and set up a home, how to manage your time, and how to develop and maintain positive relationships. Spaces are limited to 6 participants. Cost: $375.00. Location: OuTcomes Therapy, 2216 Lorne Street, Regina. If you are interested in further information and/or would like to register, please do not hesitate to contact us via email (louise@outcomestherapy.com) or pm us.